Have you submitted your proposal for #TOCAI19? 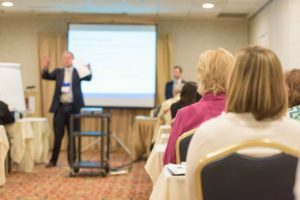 The 2019 TOC Annual Institute Program Committee has received 27 proposals to date, with room for more Concurrent Speaker slots! This includes five proposals from Federal speakers, four from universities, and the remainder from industry practitioners. Help us provide a balanced, content-rich slate of speakers & learning track topics! Currently, there are 7 under Career Development, 10 under Leadership Development, 3 under Innovation, 1 under Learning Technologies, 4 under Training Design and Development, and 1 under Learning Measurements. What learning track/topic area can you present, by sharing valuable tips, techniques and success stories with your fellow training officers? Because of the long government shutdown, we’ve extended the proposal deadline to Feb. 15. Applications for Concurrent Speaker proposals can be found on the Call for Proposals page. As a reminder, the Annual Institute will be held at the Norfolk Waterside Marriott in Norfolk, VA, April 28 – May 1. The theme of the 2019 Institute is “TOC@80: Learning from our Past. Leading into your Future.” You can register to attend today.